Small waterfall chandelier dressed in striking hand cut crystal pear drops. 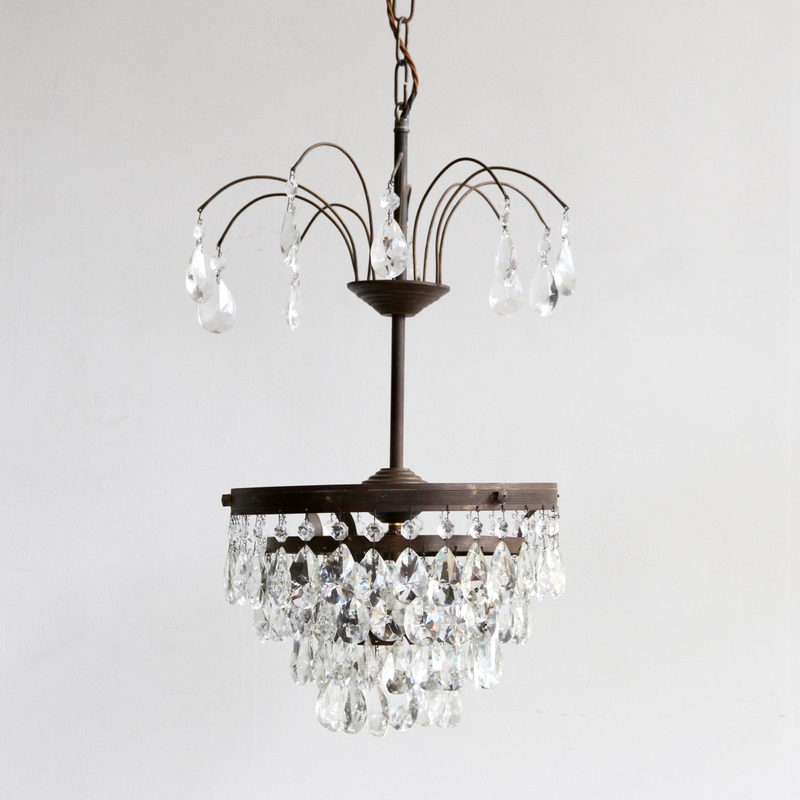 The brass chandelier frame has four lower tiers, the upper tier is reminiscent of drooping willow branches, these also have the crystal drops hanging from them. This light has a single lamp which is concealed and will glow through the crystal.